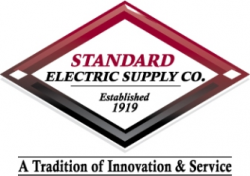 Standard Electric Supply Co. is one of the top 100 electrical and automation distributors in the country. Founded in 1919, we are a well-established distributor of automation, control, power, and other conventional electrical products with a passion for innovation. We’ve grown to 14 locations across Wisconsin, Illinois, and Indiana. Currently, there are 175 associates contributing to our success. We are proud of our long history of retaining good associates. We hope you will soon discover the exciting spirit of cooperation, working toward mutual goals, and providing exceptional customer service that others have found here. Associates working together and utilizing their skills to the best of their ability makes Standard Electric Supply Co. a most enjoyable place to work. Email me jobs from Standard Electric Supply Co.